To begin increasing student engagement at your school, first find out how engaged your students already are. You can analyze traditional engagement benchmarks like dropout rate, time on task, and attendance records, but to get a more holistic look at how your students feel, try asking them directly. You can create a custom poll for your school to ask them if they have ever thought about dropping out, who their friends and role models are in school, and what activities they are involved in, if any. However, the easiest way to gauge your school’s student engagement is to simply register for the Gallup Student Poll that is administered every year. The Gallup Student Poll is an online poll made up of 20 well-researched questions designed to assess the hope, engagement, and wellbeing of students in the U.S. The poll takes eight to ten minutes to complete, and is entirely free to any public or private school in the United States. After your students complete the poll, you will receive a detailed report on the engagement level at your school. This report can be monumental in discovering elements of your school community that can be improved upon to increase student engagement. The act of administering the Gallup Student Poll, or any poll designed to research student engagement, is also an excellent opportunity to connect with your students. Explain to them why you’re asking them to complete the poll and let them know that their school cares about their wellbeing. Reassure your students that you are listening to their feedback and that the results will be studied carefully and acted upon. Once you have a good idea of how engaged your students are, you can start to create activities and programs to increase their engagement. For example, one method is to let them have more of a say in regards to their school day. It may take some creative thinking, but giving students the ability to control a few things that matter to them is a great way to get them invested in their day. Offer students the option to choose lunch menus, pep rally activities, or school dance themes. In English class, offer them the ability to choose which book to read, either by letting them choose their own reading list or by choosing from an approved list. You can also create polls designed just for fun, like favorite vacation spots and sports teams. These types of polls will help students feel more connected to their fellow peers and help them start conversations with people they may not usually interact with. Oftentimes, just the act of asking can be enough to encourage student participation. 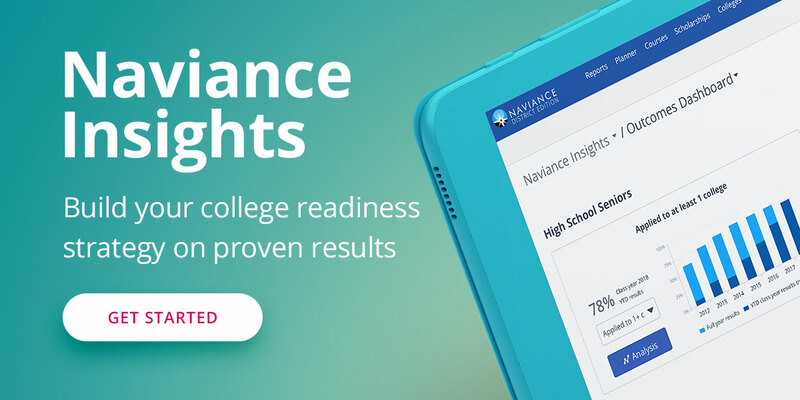 An easy way to create student polls and surveys is through the Naviance Survey Builder and Family Connection tools. If you are using Family Connection, you can create an unlimited number of custom surveys for your students, parents, and even alumni. Bring popular voting events onto your College and Career Readiness platform to encourage students to sign in and use the tools that will help them plan their future. You can create surveys targeted to a specific class year to vote on student council elections or prom court nominations, for example. The Family Connection homepage is also a great place to host your school-wide polls. With a little bit of HTML help, you can create a custom poll widget from popular survey tools like SurveyMonkey® and place it on your school’s Family Connection homepage. You can also display the results of the last poll on the page, making signing into Naviance a part of your students’ weekly schedules. Getting students more involved in the social aspect of coming to school will help them become more engaged with their peers and academics, and can even encourage them to get excited about planning their future with tools included in Family Connection.